I hate the dc27, in fact I would say the only good thing about it is that once striped the chaise will stand up on its own. So the last time I bought a job lot I wast to pleased it included 4 dead dc27s. I stripped one today and had a plesant surprise, the motor wasn't dead, but I bet when this went the person using it had a heart flutter. But then seeing this, I think they deserved it. I was told they clean better than DC33's- Do they? Don't know, about the same I would say. What is that in the first photo? 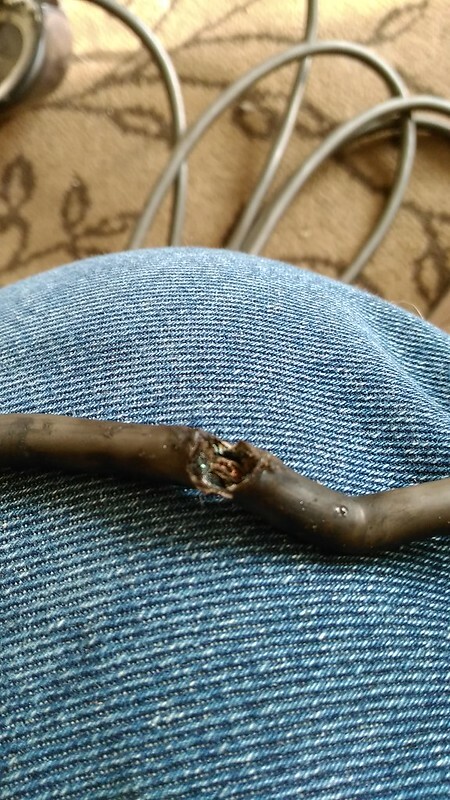 The live wire? 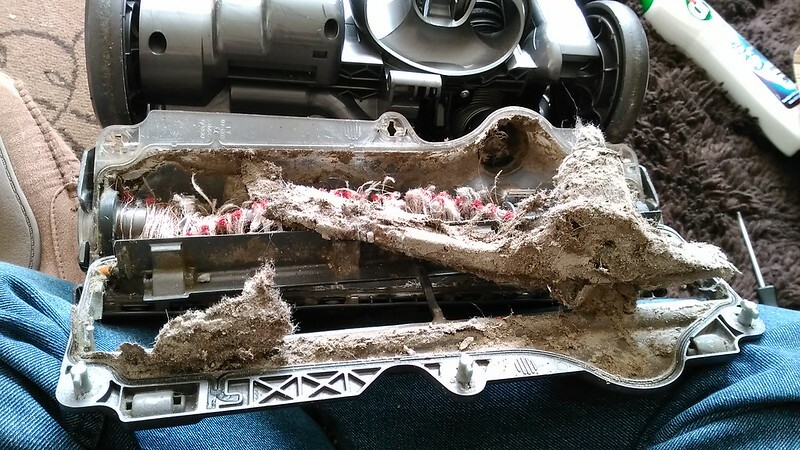 Seen a few of that age/style cable do that but jesus, that brushroll housing!